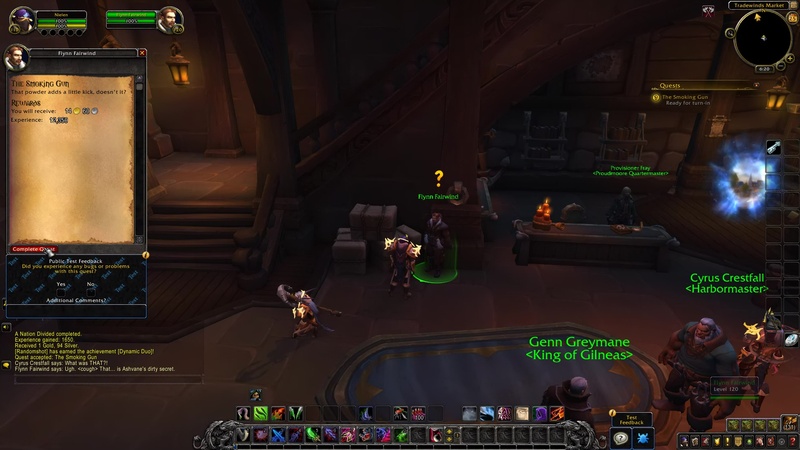 Flynn Fairwind: The Ashvane Co. doesn’t know it yet, but throwing us into Tol Dagor was the biggest mistake they’ve ever made. I swiped this from one of the guards when they picked me up. Go ahead, take a shot at that barrel over there. 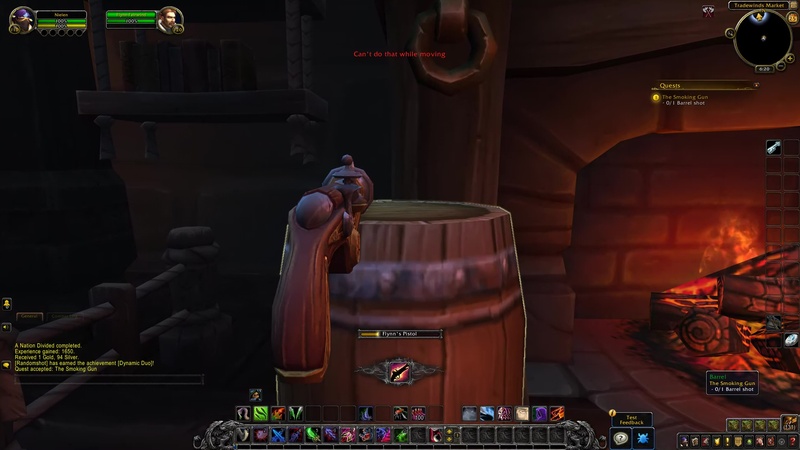 Fire Flynn’s Pistol at the Barrel in the tavern. TIP: Click the barrel next to the chimney. Cyrus Crestfall: What was THAT?! 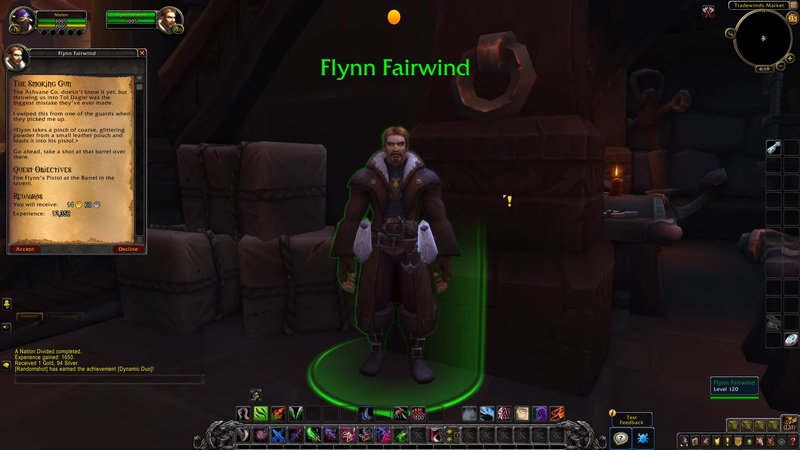 Flynn Fairwind: Ugh. 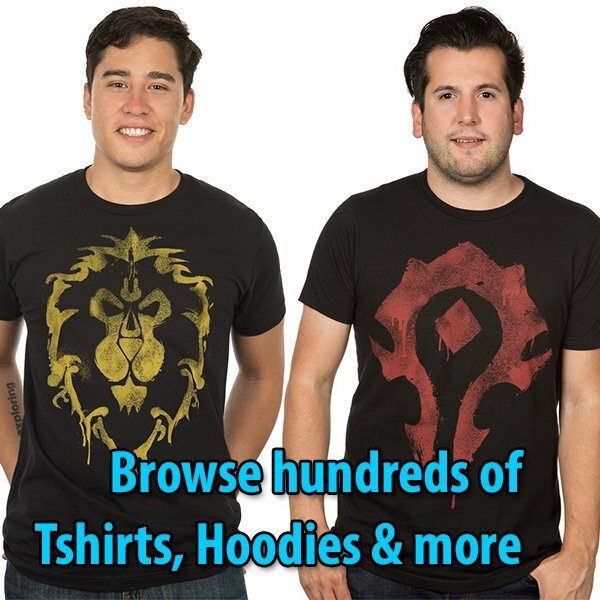 (cough) That… is Ashvane’s dirty secret. Flynn Fairwind: Why’d they arrest me in the first place? Uh… business disagreement. Flynn Fairwind: That powder adds a little kick, doesn’t it?